I’m a sucker for historical plaques. 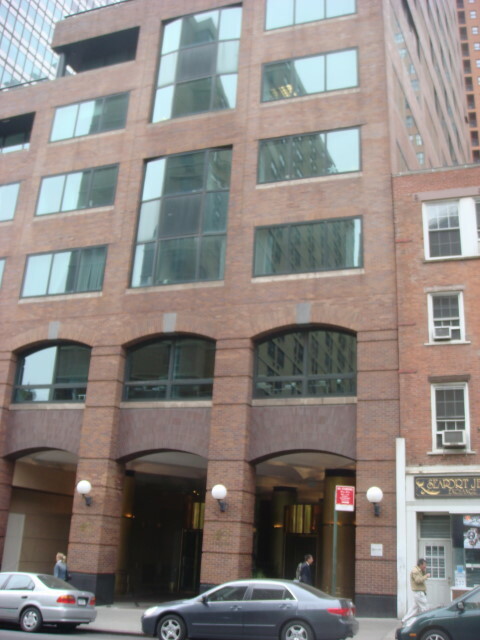 In downtown Manhattan, I ran across this one at 40 Fulton Street. Reading it, I am a bit confused. 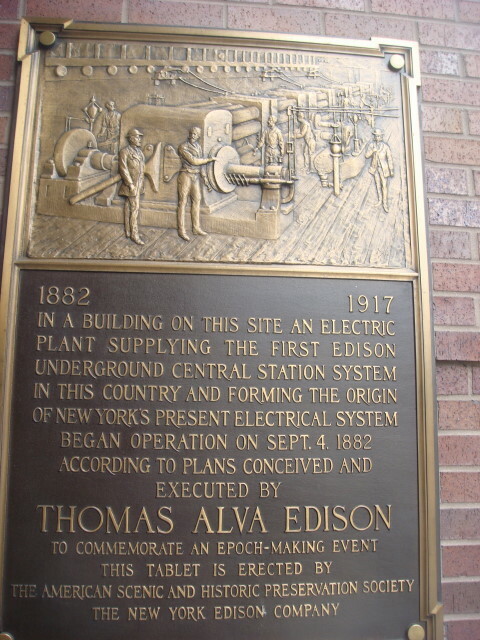 A strict reading indicates that it wasn’t the first electricity generating plant. Not even the first one done by Edison. But it was the first one that supplied the “underground central station system”. And that system is what the rest of NY’s electrical system ended up based upon. It sure doesn’t look like a site of a former power plant, does it. It’s pretty tall and I couldn’t tell what its current use is, but it looks like condos or apartments. 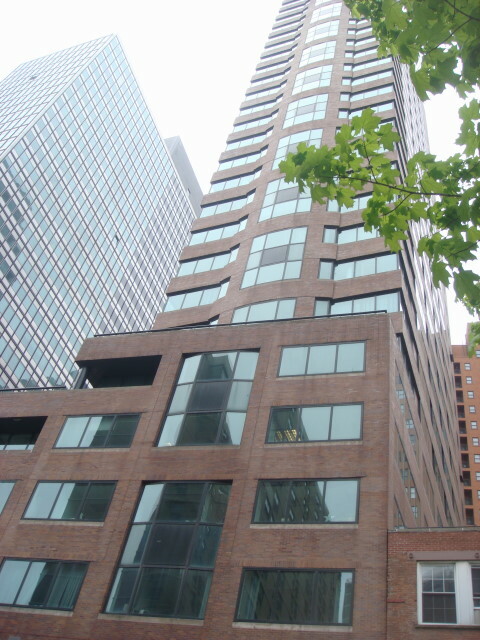 This entry was posted on May 7, 2008 at 4:58 pm and is filed under Manhattan, Wanderings. You can subscribe via RSS 2.0 feed to this post's comments. You can comment below, or link to this permanent URL from your own site.